I grew up on a farm, near very small towns, and small towns have their good and bad. We often hear about the bad, like gossip running rampant, but the good outshines that, like when people brought us weeks of food, pop, and supplies after my dad recently passed. 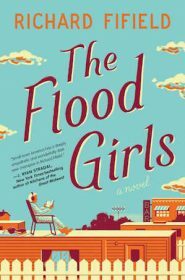 That sort of goodness is why I’m drawn to stories about small towns, like The Flood Girls by Richard Fifield. 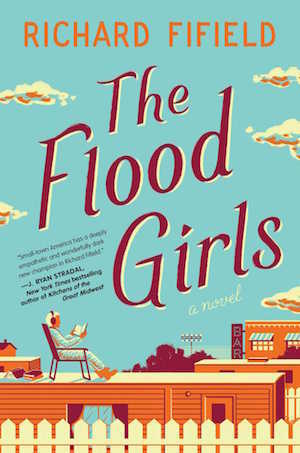 In The Flood Girls, Rachel Flood has returned to Quinn, Montana to make amends. An alcoholic with a sordid past that slowly unfolds throughout the story, a now-sober Rachel returns to right those she wronged, including her mother, the owner of the hole-in-the-wall bar The Dirty Shame. In her attempt to make good, Rachel starts working at The Dirty Shame again, joins her mother’s softball team (The Flood Girls), fixes up her dead father’s trailer that she inherited, and makes friends with the neighbor kid Jake, a flamboyant 12-year-old who loves fashion and Madonna and who lives with his mother and her abusive boyfriend who hates Jake and everything he is. 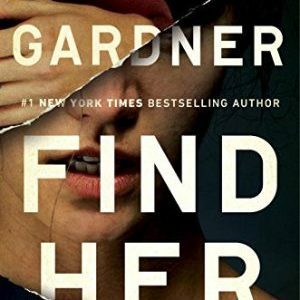 Through Rachel’s journey we learn more about her past, her mother’s past, the softball team, Jake, and all the other odd characters in this little town. And make no doubt about it, there is a lot of small town badness in Quinn. This town is poor, so there’s a lot of scrambling to make it, and often with that scrambling comes anger, revenge, and stupidity. There’s also a lot of bad people, like Rachel’s neighbor, some of the regulars of The Dirty Shame, and the uber religious who blame everything on those not like them. And many of these people hate Rachel for all she used to be. I really enjoyed getting to know everyone in this town, especially the women on the softball team and Jake. Each woman on the team reminded me of different women I know, or different women I could see in a small town, and the men of the town who cheered them on were priceless. Jake was always around the softball team, too, because he kept score for all the games, and I love the way they pretty much adopt him. The way Rachel’s story unfolds is also great. We know she’s back to make amends, and there’s all these whispers about her in town and people rudely condemn her, but we’re left in the dark. The worst thing we hear about her in the beginning is that she had slept with some of their men, which, yes, is awful, but there’s a hint that there’s something more, and there is. 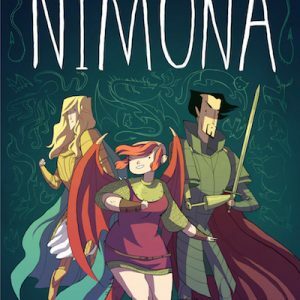 I really liked how we learned about the characters and how these secrets were revealed. And by the end of this story, I was in tears. I grew to love the characters and even though some things that happen in the end I saw coming for awhile, I was hoping I was wrong. But there were also things I didn’t see coming and it was that small town goodness and charm that gets me every time. This was a good look into small towns, both the good and bad, and the relationships with family and friends who become family.